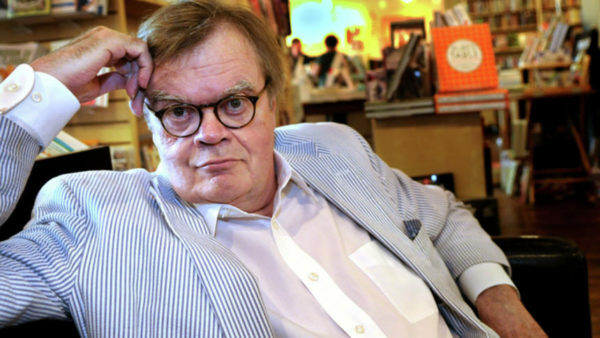 ST. PAUL—American Public Media has terminated three longtime employees of “A Prairie Home Companion” and its successor “Live from Here,” including Jason Keillor, the son of former “PHC” host Garrison Keillor. APM is not renewing the contract of the show’s managing director, Kate Gustafson Sanderson, and is eliminating the positions of marketing director (David O’Neill) and technical director (Jason Keillor). A fourth, unnamed staffer has been offered a new assignment, said APM/Minnesota Public Radio spokesperson Angie Andresen in an email. Gustafson Sanderson began working for the show as an office assistant in 1986 and eventually rose to become second in command to Keillor. O’Neill began volunteering for Minnesota Public Radio as a teen while performing odd jobs for “A Prairie Home Companion.” After graduating from the University of Minnesota, he worked full time for the company in several positions, including historian and archivist and design manager. Garrison Keillor retired as “PHC” host in July 2016 and mandolinist Chris Thile took over the role that October. Under Thile’s watch, the show has attracted some high-profile guests, including Paul Simon, Jack White, Chris Stapleton, David Crosby, Steve Martin, Ben Folds, Kacey Musgraves and Randy Newman. Last November, MPR severed ties with Keillor over “allegations of his inappropriate behavior with an individual who worked with him.” In January, MPR CEO Jon McTaggart said the company had received further allegations of dozens of other sexually inappropriate incidents involving Keillor.